Why is there a towel on my toilet seat? 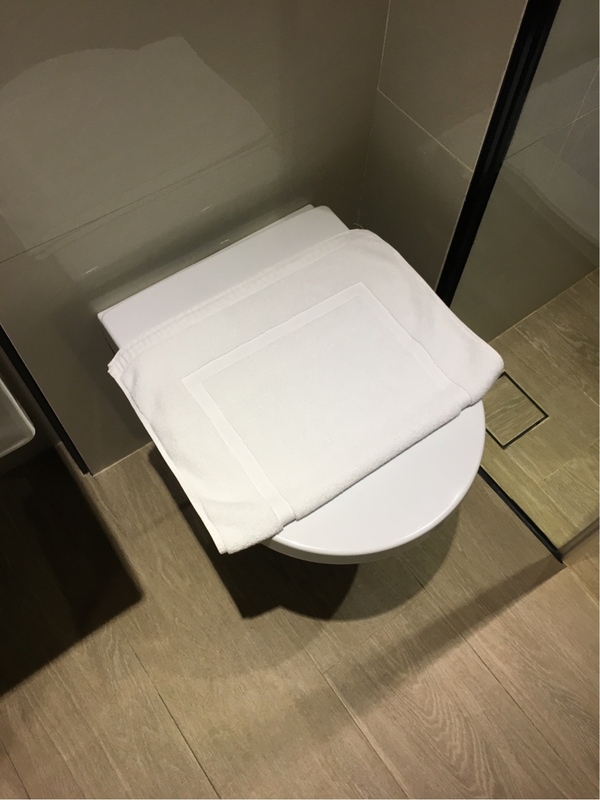 I checked in to my hotel in Singapore and the toilet has a towel on its lid. What is the objective of this towel? Is it supposed to be used a foot rug for when I am using the toilet? They are the thick ones, I usually put these on the floor, wipe the floor with them (using my foot) in case it got wet. I could be using them wrong all these years, but hey! I love using them that way. Not the answer you're looking for? Browse other questions tagged singapore toilets or ask your own question. When can I return to Singapore? Can I apply for Singapore Business Visa through a local contact online? What happens if I indicate on my Singapore Arrival Card that I have entered under another name before? Which kind of appliances can one connect to electric sockets located in an airplane's toilet?